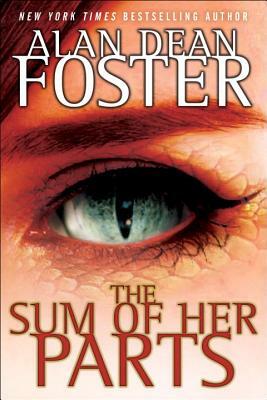 In this thrilling science fiction adventure—the triumphant conclusion to the Tipping Point trilogy—New York Times bestselling author Alan Dean Foster returns to a near future in which genetic manipulation and extreme body modification have changed profoundly what it means to be human. Dr. Ingrid Seastrom was once a respected American physician. Whispr, whose body has been transformed to preternatural thinness, was once a streetwise thief. Now, in a world on the edge of catastrophe from centuries of environmental exploitation, they are allies—thrust together by fate to unravel an impossible mystery—even as they are stalked by a relentless killer. Ingrid and Whispr are hunted fugitives bound together by a thread: a data-storage thread made of a material that cannot exist, yet somehow does. Their quest to learn its secrets—and, in Whispr’s case, sell them to the highest bidder—has brought them to South Africa’s treacherous Namib desert. Beyond its dangers waits a heavily guarded research facility that promises answers, if they can survive long enough to get there. But that won’t be easy, not with Napun Molé on their trail. They’ve already escaped the assassin twice, and as far as Molé is concerned, finishing them off isn’t just a job anymore . . . it’s personal. Alan Dean Foster has written in a variety of genres, including hard science fiction, fantasy, horror, detective, Western, historical, and contemporary fiction. He is the author of the New York Times bestseller Star Wars: The Approaching Storm and the popular Pip & Flinx novels; two earlier novels in the Tipping Point trilogy, The Human Blend and Body, Inc.; and novelizations of several films including Transformers, Transformers: Revenge of the Fallen, Star Wars, the first three Alien films, and Alien Nation. His novel Cyber Way won the Southwest Book Award for Fiction in 1990, the first science fiction work ever to do so. Foster and his wife, JoAnn Oxley, live in Prescott, Arizona, in a house built of brick that was salvaged from an early-twentieth-century miners’ brothel. He is currently at work on several new novels and media projects.